Karina's Kreations: Abstract Impressions Sneak Peek! Happy Mother's Day stamping friends. 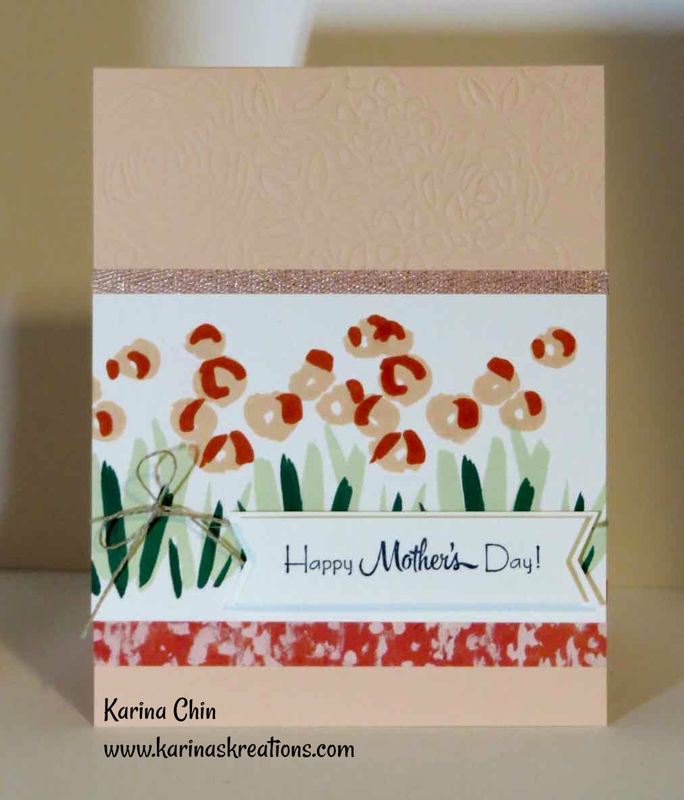 I got my preorder on Friday and decided to make a Mother's Day card using the new Abstract Impressions stamp set. Wow! This card is cased from the new catalog and is so fun to play with. Can you see the embossed area at the top of the card? Stampin'Up is selling the Big Shot embossing mats. It allows you emboss with your framelits. This is going to be a must have item for Big Shot lovers!! I also love the Designer Series Paper. It's gorgeous and the vibrant colors do not show well in the catalog. Please pop into my new catty kickoff/ Buy One Get one Free Sale on June 1 to see and try some of these products. Love your card!! Where is that Mother's Day stamp from? The Mother's Day stamp is from A Mother's Flair. It's Retiring May 31.